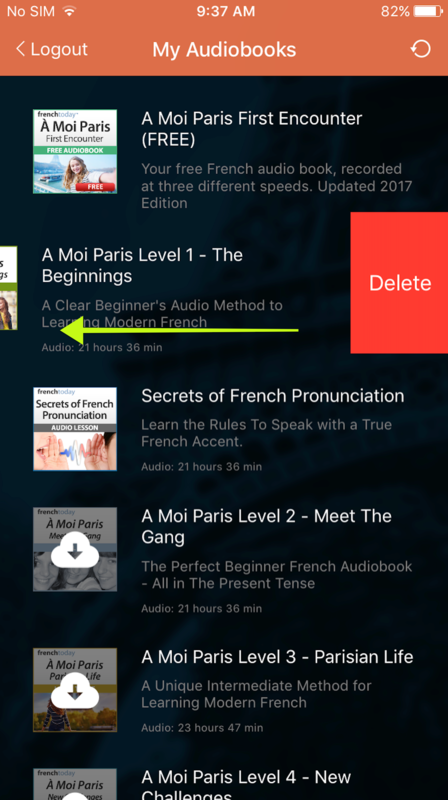 The audiobook will now be deleted from your local device storage (don't worry! You can redownload it at any time you want in the future). NOTE: If you are deleting the audiobook for troubleshooting reasons (ie: if there was a glitch in the audiobook download or other). We strongly recommend you then Force Quit the app and re-launch the app before trying to download the troublesome audiobook again.